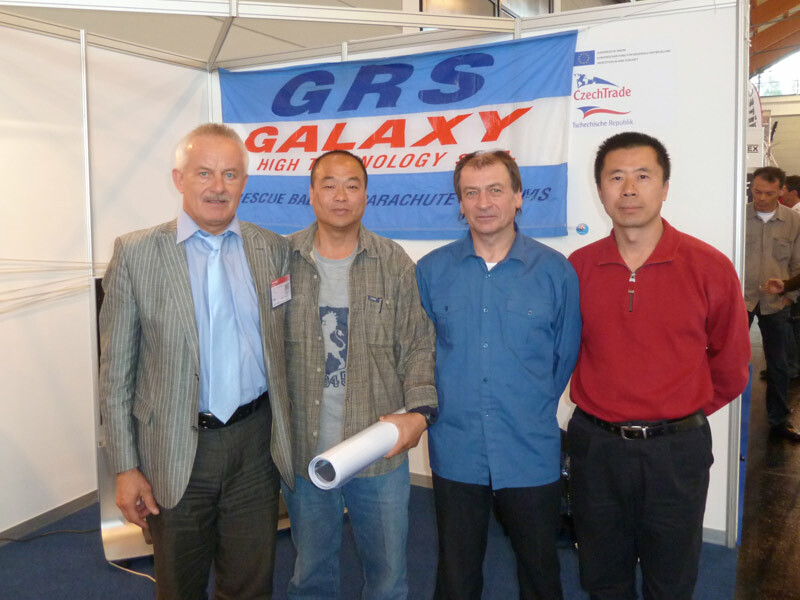 Firm | GALAXY GRS s.r.o. After American BRS, the second biggest producer of rescue systems in the world. 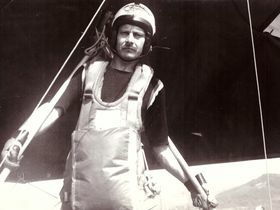 Similarly as many other enthusiasts in 1975 Milan Bábovka embarked on an unexplored path of building and flying hang-gliders. In the period of lack of aviation freedom he was pruning his way to hang-gliders using the method of trial and error and due to his dexterity together with technical skills he proceeded from copying different designs, through improving them to designing his own gliders. In that time a dozen of gliders saw the light of day and Milan Bábovka draw their designs by hand on the drawing board starting with school “single-covers” Standard and Wasp to continue with more powerful hang-gliders (Lightning, etc.). In 1983, following the construction of the first two-seat trike, the development of a new ballistic rescue system followed. 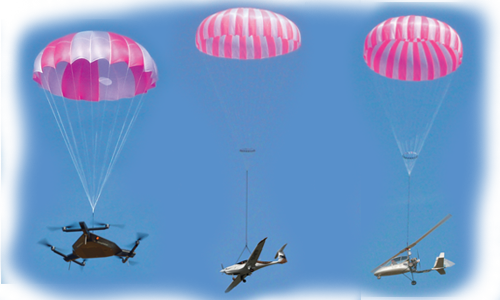 In 1984 – the first serial production of ballistic parachute systems had begun. 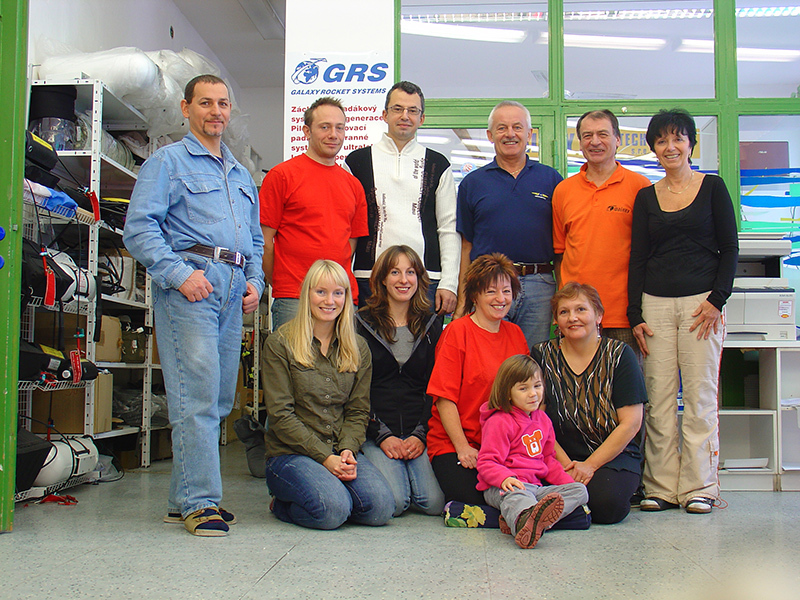 The company’s origins that is today one of the four largest world producers of ballistic rescue systems are dated to August 1984, a group of four to six friends from Deltaklub Liberec gathered around Milan Bábovka started to produce rescue systems in the same way as existing gliders or motor tricycles under them – self-help as far as possible besides employment. 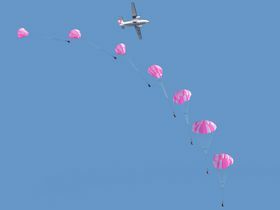 Parachutes (canopies with lines) were essentially used as discarded from Svazarm (Association for Cooperation with Army) or from the army, or from good friends. They did not already comply with the original purposes and speed limits stipulated, however, they were enough for the free and motorized hang-gliders flying with the speeds up to 80 km/hour. Supplies of material from aircraft and other factories worked and the work got on, what today, perhaps, would not do. Eyewitnesses know. The preparation of main parts was carried out at the friend Tonda Němeček and the final assembly at Milan Bábovka’s home. Components were supplied by friends who also produced them themselves as they could and the usual means of payment was barter. The company got a firmer legal framework as late as in 1989 when a business licence was obtained and it is still valid today. admits now sixty-six years old Milan Bábovka who once started his business while studying university evening classes, supporting his family and flying…..
First ballistic rescue systems were developed in Galaxy on the basis of cartridge units from the MIG ejection seat where it was necessary to complete a counterbalance and shock absorber. After 1989 they already started to produce their own canopies and thus first systems GBS-1 for a single and GBS-2 for a two-seater motor hang-glider appeared in cooperation with Petr Suchomel. Galaxy produced 150 these systems till 1994. The breakthrough came in 1992. Ing. 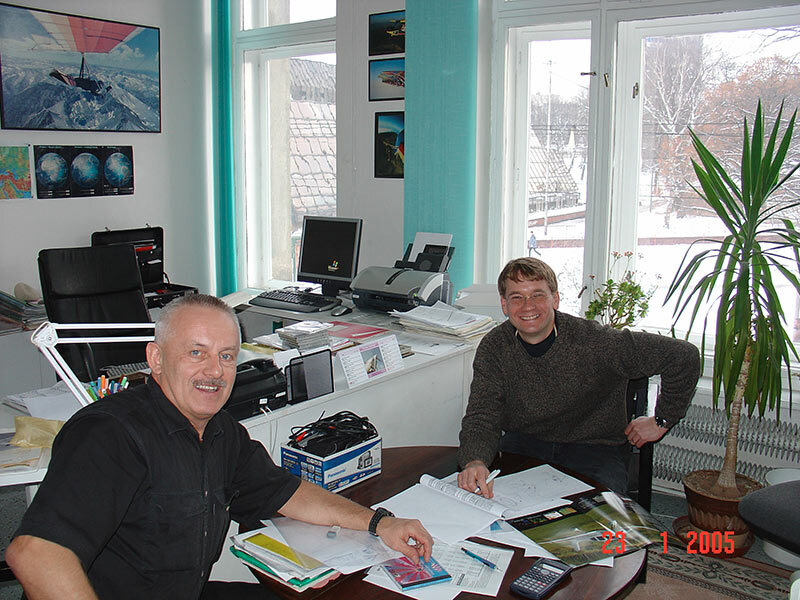 Matějčka, a notable Czech aviation constructor started to work for Galaxy. He had been the designer of the catapult seat for the Czech-built, Albatros L- 39 training jet. At the time, this was the domain of the Russians, Americans and British. “In our company Jiří was sitting opposite at the table as a working pensioner for four years. That’s also one of reasons why we have got where we are now. He was a phenomenal designer”, says Milan Bábovka about Mr. Matějček’s career with the company. The development was divided between Ing. Matějčka – the idea and the universal rocket engine, and Ing Bábovka – the construction of drawing system and new parachutes. By the end of the eighties new opportunities appeared: while flying within the club exchange in Switzerland in 1988 Milan Bábovka together with Jiří Šubrt and Jan Janeček copied the first paraglider – Big at the parking place in Laussane. “I found out that they did not have a good profile – the glide was 3:1 at maximum, and thus I made it a little better on the board and with a square – that time there was no computer – and in the same way then all my parachutes. The Swiss then arrived as far as to Liberec to see how it was flying”, describes Milan Bábovka the origin of paraglider production in Galaxy. “I managed to have 4.5:1 from it. At home I made a few parachutes improved in this way on my sewing machine Veritas for them and they gave me a used Peugeot car for it. Well, immediately I knew what I was going to do next forty years!”, he illustrates smiling his former spontaneous starting a business. With the boom of paragliding that time it was a natural part of company development to establish a School of Paragliding and School of Hang-Glider Flying through which 750 pilot pupils from the Czech Republic and abroad passed. Logically to it obtaining all qualifications in all this expertise followed, i.e. pilot, instructor and in terms of experience also inspector of technical equipment for paragliders and hang-gliders. 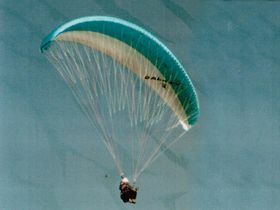 Between 1989 and 2002 the company produced two thousand paragliders, among them you can find models Big X, Orion, Speedy, Absorber, Experience, Gladiator, Calibra and Excalibur, but also aerobatic gliders, for example, Shark in the development of which also Austrian pilots have participated. 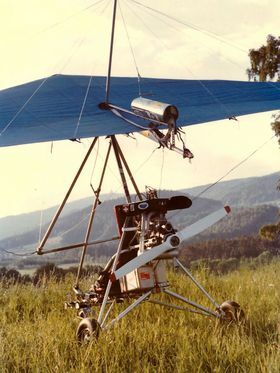 For example, in 1999 Lubor Groh flew one of the first long flights in our country – 180 km from the Broumovské Walls as far as to the Ranská Mountain on the glider Scorpion II. Such assortment cannot miss accessories and equipment for paragliding – seats, overalls with thermal liners and till the mid-nineties also electronic devices (variometers) that were produced in the company by Jiří Zadina. Up till today the part of production programme is reserve parachutes GP-1, GP-2, GP-3, GP-36 and GP-40. The present company Galaxy GRS s r.o. 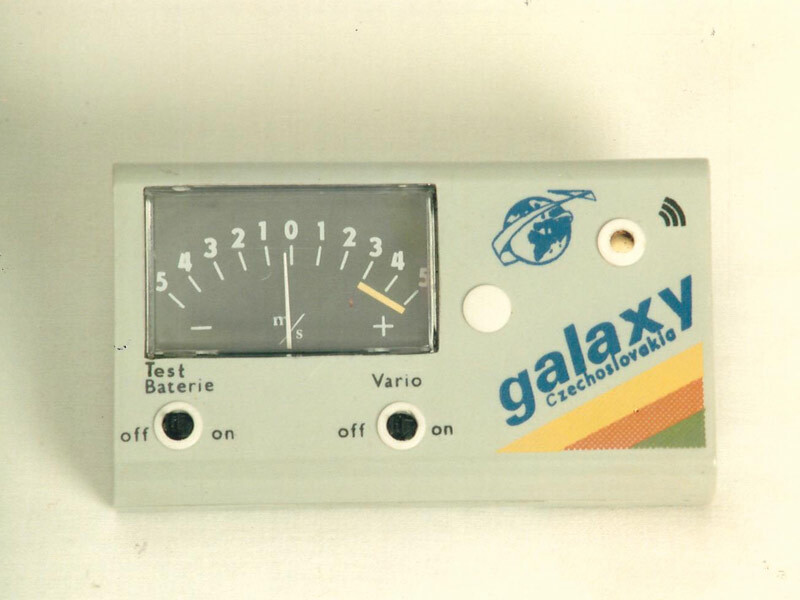 was established by Milan Bábovka with his sister Hana and together with other family members in 1990 and in this slightly changed form and slightly changed name, formerly Galaxy Sky, as a purely Czech company without foreign participation or bonds to the foreign capital it operates to this day. However, the focus of its activities consists currently only in the production of rocket rescue systems under the mark Galaxy GRS. 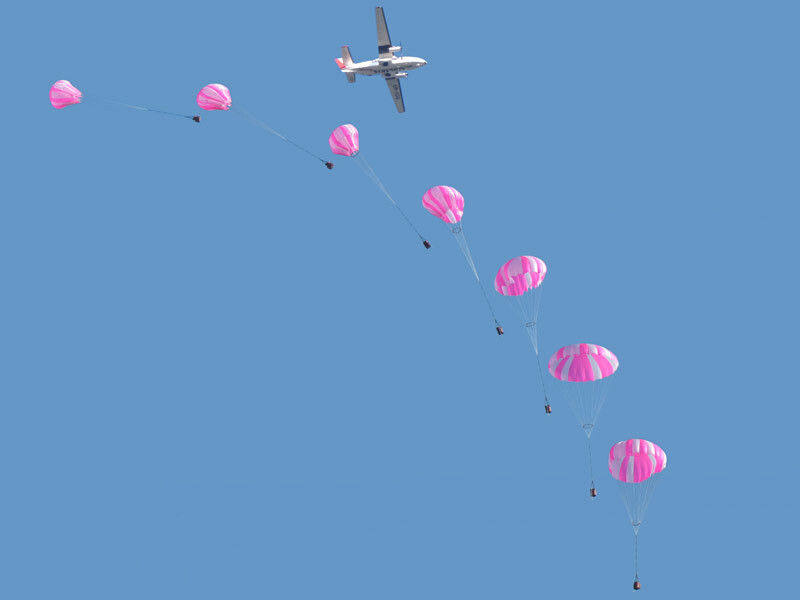 The company produces 59 modifications of rocket rescue systems and over 39 different types of parachutes – from the ejection parachutes for paragliding and hang-gliding to the ballistic rescue systems for aircrafts weighing from ultralight up to 1645 kg. “We are able to compute and manufacture and supply any rescue system, or anti-spinning parachute for any aircraft. Everything is about the quality, carefulness, accurate calculations and system continuous testing”, explains Milan Bábovka. The company’s position is also evidenced by its cooperation on the development of rescue systems with the producers of American aircrafts Cirrus and Slovenian Panthers. 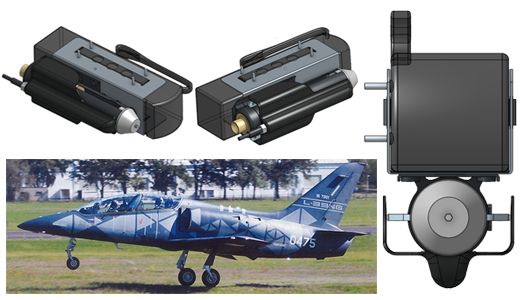 To produce rescue systems capable to rescue aircraft and occupants as low as the final turn and its stall speed!! This height is by trikes from 30 m,by ultralights from 60-90 m, by the category S-LSA and heavier aircraft like the Cessna 172 from 120-150 m above ground. Development and tests of all our parachutes are quite different than by other producers. Designed parachute is firstly tested at speeds for its minimum height of use.It equals the stall speed of aircraft category for which it is determined. For the Ultralights it is 65 km/h, which corresponds with their stall speed. - The parachute is tested and modified until it complies with this requirement. Only then comes the test up to required maximum speed, eventually strength tets for overloading. 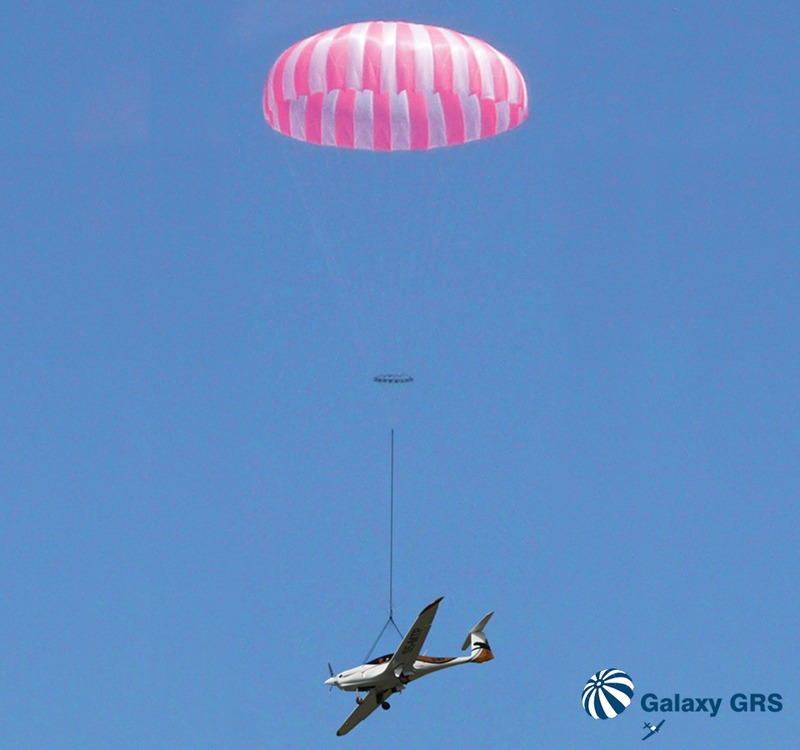 All our parachutes of the series GRS 4 and GRS 5 for speeds up to 260km/h comply with requirements of these tests. The series GRS 3, aimed for trikes, is tested even the speed of 45km/h. Further articulars and video footage are on our website. We know, that some other producers do not test it this way. That is why their opening times at stall speeds usually do not correspond to those, they are stating, perhaps even do not state them at all. In all cases, limits of minimum rescue height rise rapidly. The newly-developed type GRS 6 parachute, utilizes besides the slider, advantages of the controlled, flexible inflation design. It is aimed for UL aircraft up to speeds of 310km/h and the S-LSA USA category. According to the German DULV regulation, it is possible (to verify the minimum height of use) to use the testing speed up to 120km/h. However the parachute must be inflated up to 4,5 sec. Our parachute makes it at 90 km/h. If the aircraft flies in horizontal speed of 90 km/h, then ca. 90 m above ground is enough for rescue. If the aircraft falls into a spin at the stall speed, and its stall speed is 65km/h, you must add 1,5sec (to 4,5 sec) to achieve the tested speed of 90km/h. Then the rescue height is not 80m, but some 120m. If other companies test such a parachute at 120 km/h and the aircraft flies in horizontal 120km/h, then its rescue height is 90m as well, but to the spin at 65km/h you must add 3 sec. Then the rescue height in the spin is 180m. This is a two-fold difference! Such a producer should notify the buyer about this. I have always designed parachutes mainly for myself and my colleague pilots. 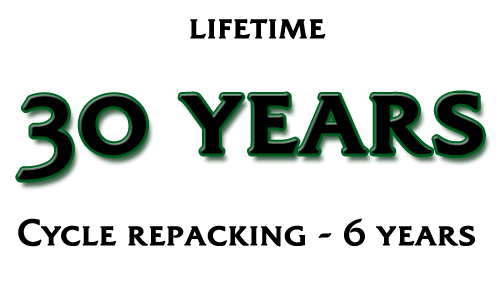 Continually, from hang glider to trike and the first UL aircraft, until the current generations of aircraft. 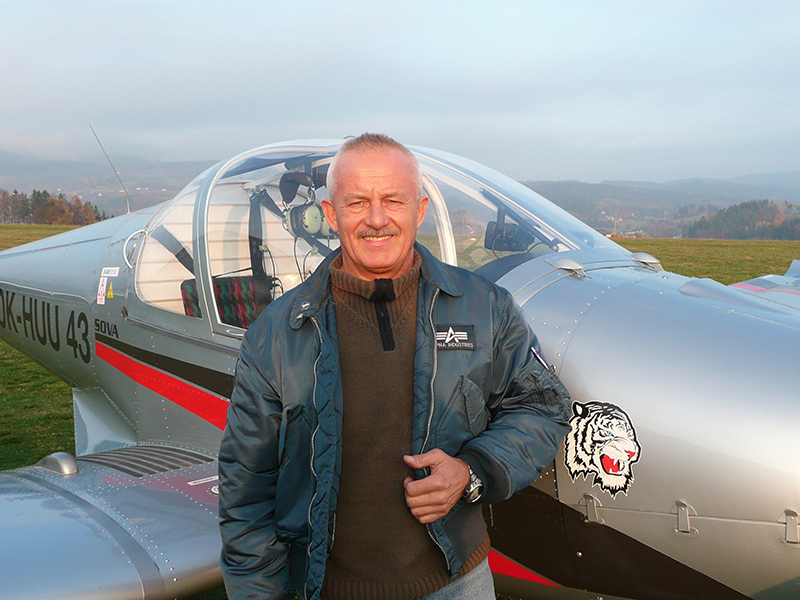 I flew as a pilot, instructor and in competitions as well, with a record of 1800 hours in 30 years. Firstly, I have always wanted to design the most sophisticated parachute possible, with the quickest possible opening time in any emergency situation. 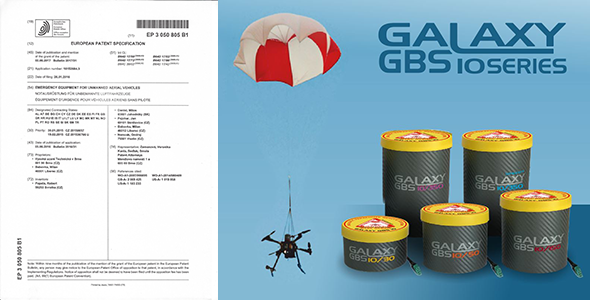 The company possesses five world-wide patents and many utility models and certifications in the field of rescue systems (for more details see www.galaxysky.cz). The latest achievements of the company include the installation of rocket rescue systems on the aircrafts with rotating wings – UL helicopters and gyroplanes, but also drones and multi-copters. For quality work so-called “human resources” are crucial, i.e. in short the people who know how to work. “We have no fluctuation of employees. Currently we have up to 25 employees – all very dexterous and careful people who remain in our company till their retirement. And namely, I swear to seamstresses!”, adds the boss of Galaxy. 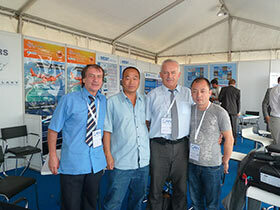 Another prerequisite is a suitable background for the production and service. A three-storey building – the company residence located in Liberec serves for this purpose where there are production facilities occupying 650 m2, and where another storey with a lift has been constructed recently. The part of company background is also a company’s own airport situated in Český Dub. In total during the thirty years of company existence there were produced over 11 thousand parachutes of all types of which about 7000 rocket parachute rescue units and 2000 paragliders. The focus of production consists in rescue systems and before the economic crisis their production reached up to 750 ballistic GRS units per year. Although presently it is slightly less there are the data that always look good: the number of registered rescued pilots about whom we know is 85. It is approximately one percent of parachutes produced under the mark of Galaxy. If you add an unspecified number of “ejected reserve parachutes” by free pilots over the all world, it is quite a fair record.